What's your reason for not visiting the dentist in a long time? No insurance, a poor experience, a lack of pain, no time, along with thousands other reasons. You are not alone, estimates show that one in every five Americans have not visited a dentist in the last couple of years. However long it has been since you visited the dentist, now is the right time to go back. Begin with choosing a dentist close to you in Pearland, TX. Highland Dental Care and Ortho. takes new patients and our staff provides compassionate care for all our patients regardless of how long that it has been since you've visited the dentist. Among the top reasons people stop visiting the dentist is fear or stress. Whether this is from a terrible experience or a different reason, our staff is able to help you conquer your dental worries. At Highland Dental Care and Ortho., we provide several sedation methods to help you stay comfortable and calm through both regular visits and procedures. For dentophobia and general anxiety about dental treatments, we generally recommend nitrous oxide (also called laughing gas) or oral-conscious medicine (a prescription sedative, such as Valium, that's taken prior to your visit). Before your exam and cleaning, your dentist will perform a consultation to decide whether you're a candidate for sedation. Along with deciding whether you will need sedation, your dentist will ascertain whether you're able to safely get sedation. Your dentist will need to know your health history, allergies, and any drugs you're presently taking. This will allow them to determine which technique to select. Before you go home, your dentist will tell you what to expect before, during, and after your sedation, such as if you can drive or if you should get a ride. 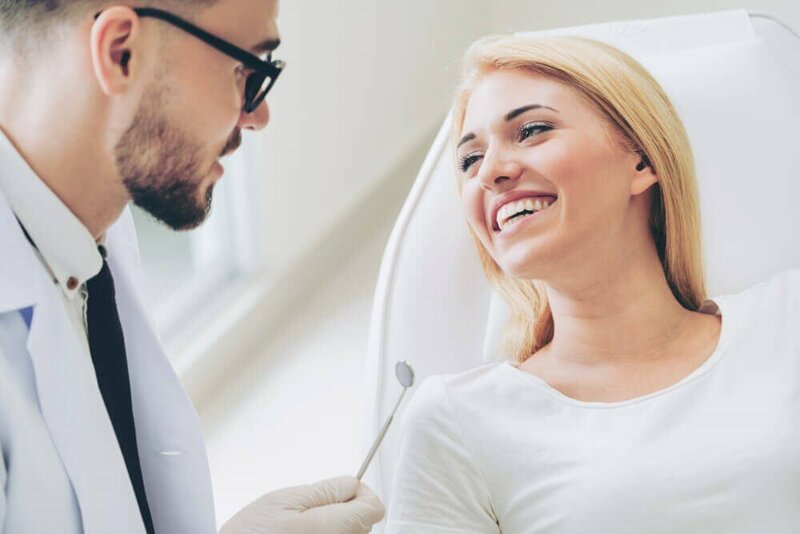 Your appointment at the dentist in Pearland, TX will likely consist of three basic components — an examination, a deep cleaning, along with your personalized plan to treat or prevent problems. A dental examination is normally conducted at least one time every year. Throughout your examination, your team of dental professionals will check the health of your mouth. Taking digital x-rays provide your dentist a much better look at your oral health. The majority of the time, x-rays will probably be needed to show your dental team areas of developing and existing issues. X-rays may be completed in a couple of minutes with a sensor positioned between your lower and upper teeth. Your dentist might suggest an entire mouth set to inspect your jaw and gums every couple of years. This only lasts a couple of minutes while you stand still as the camera moves around your head. Among the most crucial parts of a dental examination is screening for oral cancer. Those who smoke or have the human papilloma virus (HPV) are at greater risk for getting oral cancer, although everybody ought to be screened. Throughout your screening, your dentist will examine your gums, tongue, and the tissue inside your mouth. Afterward, they will palpate your throat and jaw to check for lumps. While this generally only lasts a couple of minutes, detecting oral cancer early is vital. Throughout your examination, your dentist will evaluate the condition of your gums and look for signs of periodontal (gum) disease. Your team will measure your gum pockets, examine the condition of your gums, and check whether there's any swelling. Inform your dentist if you have pain or if your gums bleed when you floss or brush. Even though you're ideally flossing and brushing your teeth two times every day in your home, you are still able to benefit from a deep cleaning to eliminate stains and buildup. In case you have not visited the dentist for some time, you might have a substantial amount of tartar and plaque buildup on your teeth. Your hygienist will scrape away buildup utilizing special equipment. Good flossing and brushing at home in addition to regular cleanings at your dentist should make this cleaning easier. When your teeth are free from buildup, a team member will polish your teeth. This will help to get rid of stains, which make your teeth dull. Speak with your hygienist if you would rather get small sections cleaned with breaks between. Typically suggested for children while their teeth are developing and anyone who tends to get a lot of cavities, you can think about asking for a fluoride rinse following your cleaning. A fluoride treatment helps to strengthen your teeth, which may help stop decay, cavities, and other issues. Once your dental examination and cleaning are done, your dentist will speak with you about your next steps. If you do not have any issues, they may recommend preventive treatments. If they do find a problem, your dentist will go over your treatment choices. To continue to keep your teeth, gums, and jaw healthy, your dentist can show you correct techniques for flossing and brushing, help you create a great home dental hygiene regimen, suggest products that match your particular goals, and also schedule your next visit. If you have good oral health, Highland Dental Care and Ortho. performs cosmetic dentistry to improve the overall look of your smile with procedures like teeth whitening. When you've got gum disease, a cavity, or a different issue, your dentist will discuss your treatment choices. As soon as you've picked a procedure, your dentist will let you know how soon to schedule it. Some problems, such as a cavity, may be performed during your next cleaning. But when an issue is severe or causing pain, then a treatment will have to be made sooner. For certain treatments, your dentist may discuss sedation choices to help you stay comfortable. It may be frightening to return to your dentist when you have not visited for a while; however, our compassionate staff at Highland Dental Care and Ortho. will do whatever they can to help you feel relaxed and welcome. Our practice in Pearland, TX utilizes modern procedures and advanced equipment to make your visit fast and effective. If you are stressed about visiting the dentist, inquire about sedation dentistry choices to aid with dental anxieties and fears.